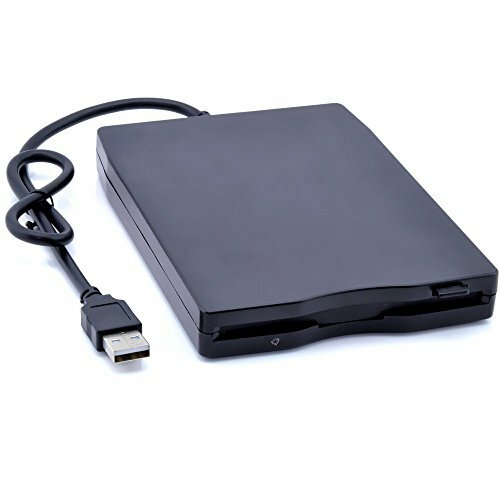 Portable external floppy Disk drive,high quality hard plastic enclosure,durable and very nice looking. Plug and play, no extra driver required, just plug it into usb connector directly, it will automatically install driver by itself.Data Capacity: Read/Write 1.44 MB floppy disk. Bring new life to your old floppies, ideal for desktops and laptops, compatible for Windows 98/ 2000/ ME/ XP/ VISTA/ Windows 7/ Windows 8 and Mac OS 8.6 or upper.